Routine Financial Moves Might Jeopardize Your Ability to Obtain a Mortgage. Get Your Free Guide and Avoid Costly Mistakes. 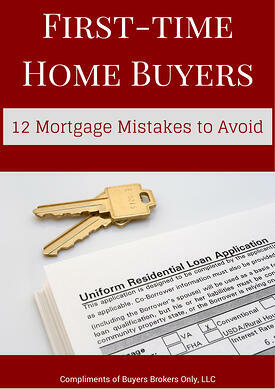 Please fill out the form on this page, in order to receive your free guide and to avoid 12 common mortgage mistakes. "As first time homebuyers, we expected the process to be stressful, long and complicated, but with [your] help our experience was none of those things. From start to finish, the process was painless. [You] took the time to answer our many questions with detailed explanations in terms that we could easily understand." – Francesca L. & James B., Bought in Peabody, MA.